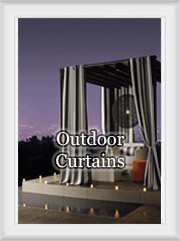 Window Treatments > Ready-made Curtains & Drapes : Shop by size, color, fabric, style & lining options > Shop Ready-made Curtains & Drapes by Fabric: Most Sewn in USA! 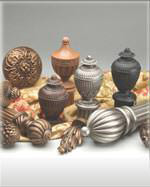 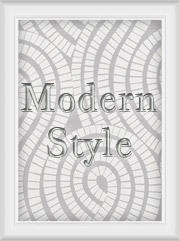 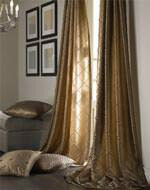 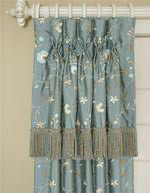 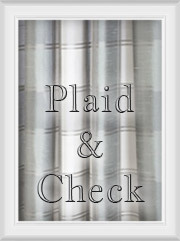 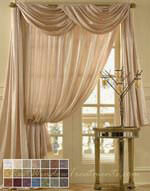 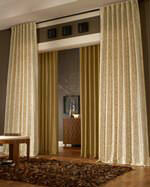 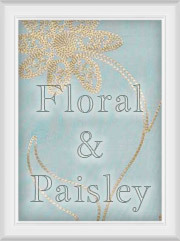 Often the most personalized choice you will make for your window treatments will be the style of fabric. 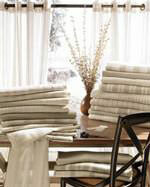 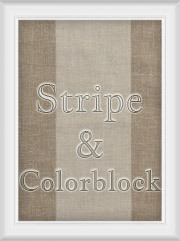 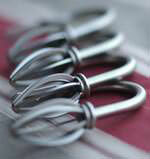 Linen and cotton blends provide a soft finish and have a classic look. 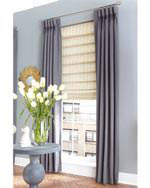 We offer lining, interlining and blackout options if you want a soft looking fabric but not as much light filtering through your curtains. 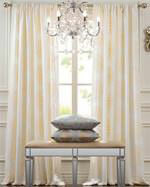 Faux silk and woven jacquards add a nice look of drama or texture to your window. 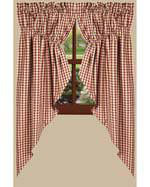 The high durability of outdoor fabric is sometimes used for indoor drapes and can be perfect for a kids room for easy cleanup. 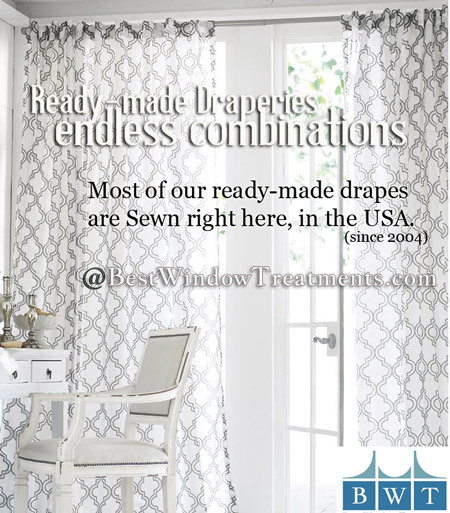 Whether it's bright colored draperies or soft muted earth tones in extra long flowing panels - find the exact fabric that suits your style.